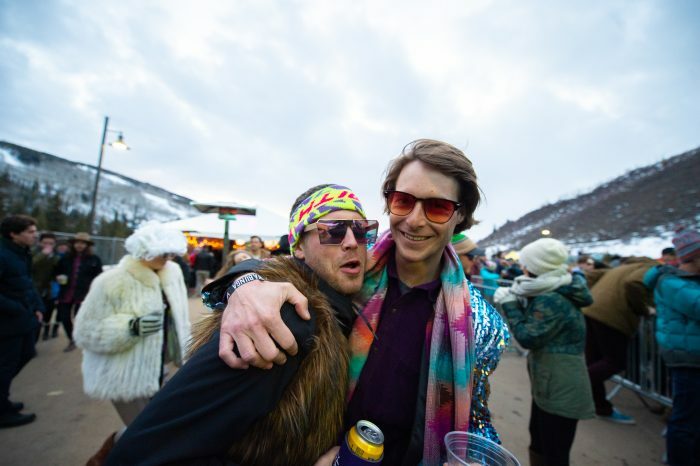 March 22-23 marked the first iteration of Vail’s Powabunga, a festival featuring gorgeous mountains, immersive art and most importantly; an incredible music scene. 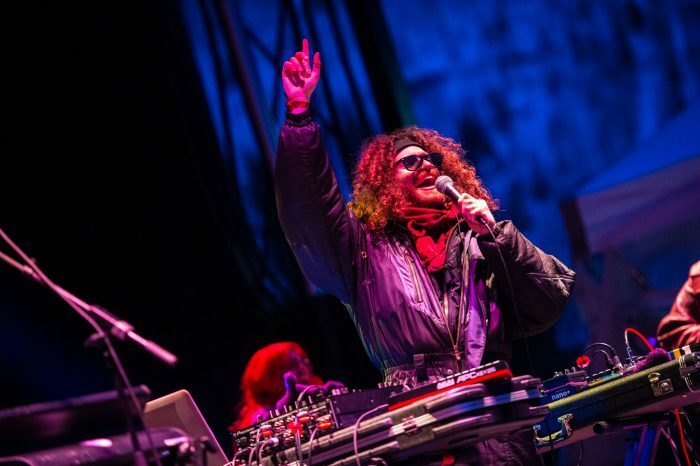 With performances from deep house king ZHU, Grammy-winning duo Bob Moses, Boombox, Justin Jay’s Fantastic Voyage, De Lux, ISHI and more, the lineup had attendees dancing from dusk till 1 AM. For a festival fresh out of the womb, Powabunga crushed it. The festival took place at Ford Park, a field located at the base of the immense mountains in West Vail. Food and drink trucks lined the inside of the festival so that concert-goers could refuel with ease. At the edge of the park lied the main stage which was easily accessible for anyone staying within the vicinity of Vail Village. The stage production was well thought out and featured top of the line festival technology. Huge speakers pumped bass throughout the crowd which was elevated with the open setting of the outdoor festival. 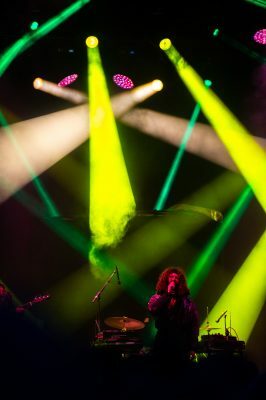 Vibrant, stunning lights complimented each musical act. As the night went on, the set production became increasingly elaborate. GOLDEN started the evening off with some tech house tunes. Justin Jay’s Fantastic Voyage followed and they absolutely killed it. Instead of performing a typical dj set, tech-house producer and Dirtybird member Justin Jay enlisted the talents of a singing ukulele enthusiast, a drummer, a guitarist, a bassist. Think of Tame Impala mixed with house. After the unbelievably groovy performance by the Fantastic Voyage, ZHU took over. 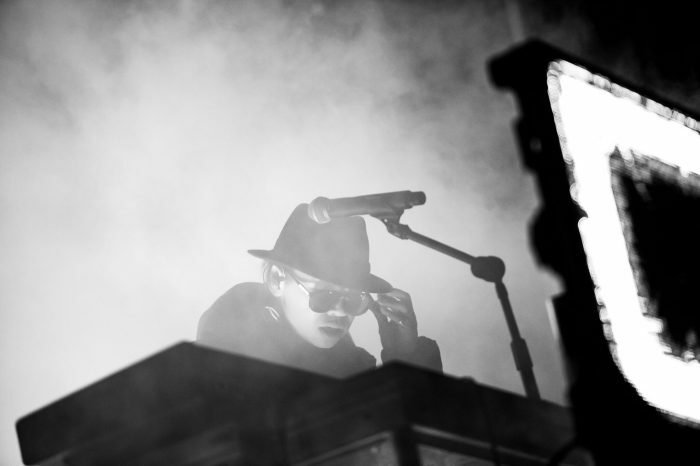 Wearing a cowboy hat, circular sunglasses and a black robe, ZHU elevated the mood of the entire festival. His set featured songs off his latest desert – themed project, RINGOS DESERT. Snow began to fall in the middle of his set which filled the sky with vivid sparkling colors as it passed through the lasers. Day 2 carried the energy over from the previous day and included performances from Boombox and Bob Moses. Boombox’s performance was a melting pot of house, blues, funk, rock, and a whole lot of soul. Following suite, Bob Moses brought groovy guitar licks and a unique dance-floor ambiance to bring the festival to a close. 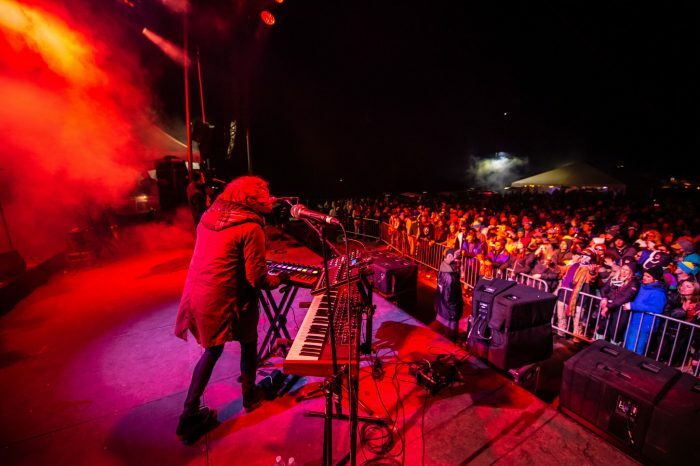 After each day after parties ensued at the Vail Ale House with headliners, Justin Jay and Bob Moses. Powabunga festival was truly a special experience. 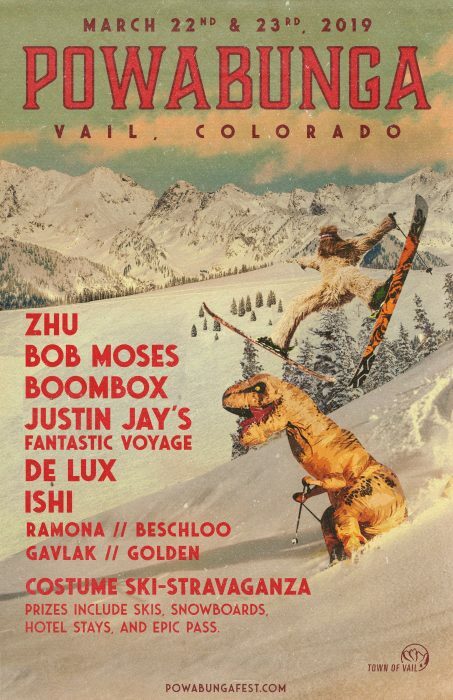 Crisp rocky mountain air, gnarly skiing and fantastic music all aided in an unforgettable weekend in Vail, Colorado. With an outstanding first iteration, we can’t wait to see what they have in store for us next year.